We’d love to hear from you. Give us a call today to schedule your free consultation! Pay Per Click ads are online advertisements that you only pay for when someone clicks on it, basically buying visits to your site as opposed to organic visits which don’t have as quick of an ROI. This means that you are paying search engines (like Google and Bing) for a top spot in their search results. The fee you pay to the search engine is very minimal, especially since that click may lead to a purchase of your product or service. You can target your audience at a specific place at the optimal time with a specific ad – the right people at the right place with the right content! when it comes to showing results PPC ads show results much quicker than natural search engine marketing. 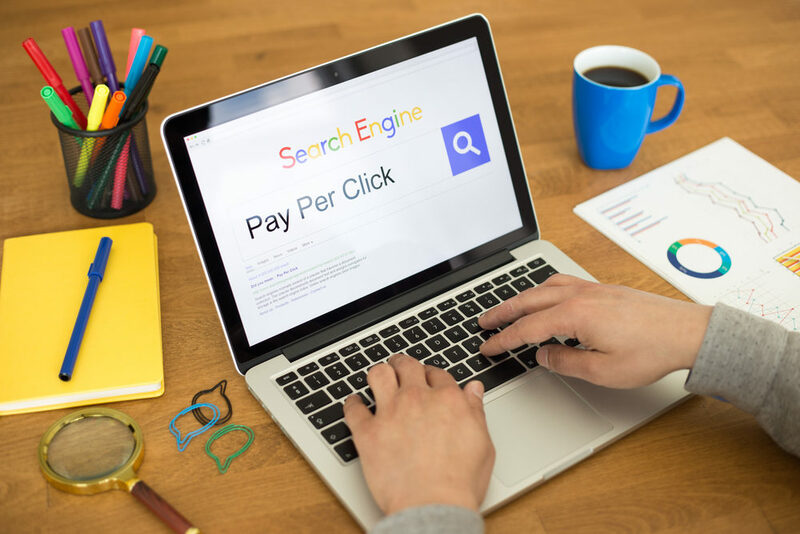 Using Pay Per Click ads will increase your rankings in search engine results, increasing your website’s visibility and making consumers trust your company more. Google Adwords- Being one of the most prominent and successful names in the digital market, this platform can bring you a huge Return on Investment (ROI) if regulated properly. With your website placed at the topmost position in Google, you are able to gain maximum number of potential customers. Our efficient digital marketers make the best use of relevant long tail keywords both to increase visibility as well as to optimize conversion rates. Not only does this campaign brings you maximum traffic but it also helps you analyze the potential of your existing organic SEO strategies. Facebook advertisements- We suppose all of you have come across the tiny little catchy ads at the sidebar of your home page in Facebook? These are Facebook ads which play a huge role in marketing your products/services in the social media. There are many different types of Facebook marketing making it easier than ever to meet your various objectives: local awareness, lead generations, website conversions and more! Facebook ads can help bring your visitors directly to your landing pages as well as simply creating brand awareness and recognition regarding your services/products. These effective ads help your business grow and your make your brand become more popular in the social media network. The clicks are noted and monitored regularly to provide a concrete report on your gains and the contribution of Facebook in that. Our ad experts are always there to help you out in case of any issue. Bing ads- Besides the regular Google Adwords campaign and Facebook ads, we can also launch effective Bing ad campaigns to complement your existing optimization and marketing strategies. Contact our incredible digital marketing experts to get more details. All in all, our marketing experts believe in getting the most out of the existing opportunities. We will never suggest you invest your hard earned money in something that you do not need at the moment. Instead, we will recommend effective ways to improve the performance of your website, optimize conversion rates and generate potential leads in the digital market. Once you have a strong social media presence we help take you a step further by increasing your web reputation as a whole.